Twenty-seven years ago, HE returned. Following the backlash of HALLOWEEN III's lack of Michael Myers, the studio decided that Myers needed to come back -- which leads us to 1988's HALLOWEEN 4: THE RETURN OF MICHAEL MYERS. H4 is widely considered the best of the post-H3 sequels. And really, I have to agree with that. 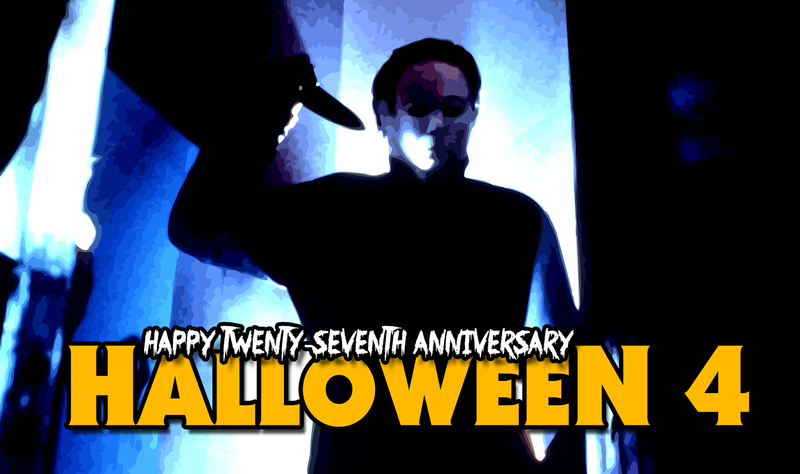 Despite Michael's appearance, the movie is a fantastic Halloween-themed slasher movie. And we're given our first Danielle Harris appearance (as Jamie Lloyd).